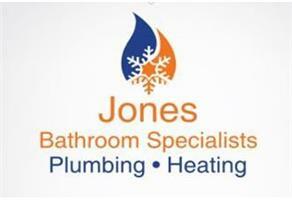 Jones Bathrooms Plumbing & Heating - Bathrooms, Kitchens based in Washington, West Sussex. We offer a free consultation and design service. We discuss your requirements and design preferences, then look at your space. We discuss your options, and any issues your room may present, then give you designs and prices to work with. We also advise on purchase of your sanitary ware, brassware and furniture. We help you purchase the right items if you are buying online, and we can advise on showrooms to visit to see items in real life. There is no job too big or small for us. Call us for repairs to existing systems and equipment-leaking seals, taps, blockages, and burst pipes. We also fit kitchens, and install water softeners, boiling water taps, water filters, and undertake all aspects of your kitchen plumbing. We cover a wide area within West Sussex including Arundel, Ashington, Ashurst, Burgess Hill, Bognor, Chichester, Crawley, East Grinstead, Haywards Heath, Horsham, Midhurst, Petworth, Pulborough, Storrington, Findon, Steyning, Washington and Worthing. Please call to check we cover your area. All our work is fully insured and comes with a two-year warranty.